It's finally here... Season 8. See the first episode on the big screen! 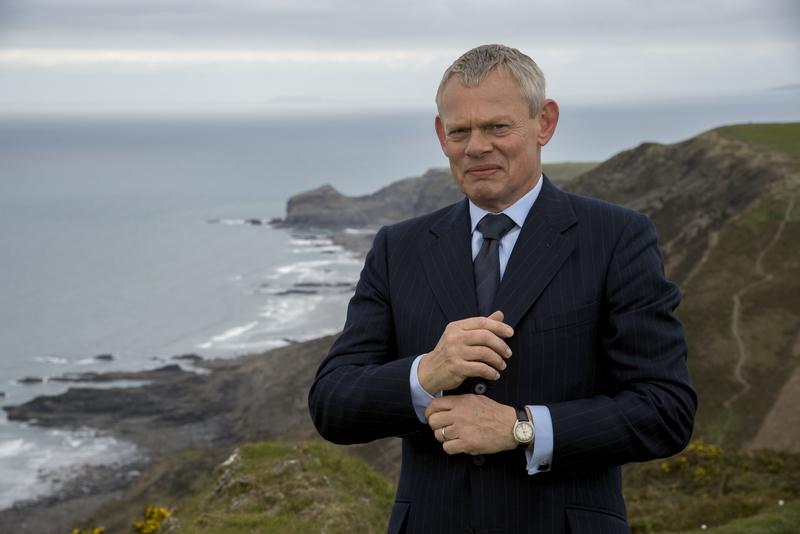 Doc Martin fans have been eagerly awaiting the arrival of season eight and it’s finally here. WXXI is celebrating with a FREE screening of the premiere episode at the Little Theatre (240 East Avenue) on Monday, January 14, 2019 at 6 p.m. Seats are first come, first served. We'll also have special drawings throughout the night where you could win a Bert Large apron! Martin Clunes stars as surly and self-centered Dr. Martin Ellingham in this beloved British drama. After developing a fear of blood, Martin, formerly a hotshot surgeon, is forced to change careers and relocate to the charming town of Portwenn, where he clashes with the village's quirky inhabitants. In season 8 Martin and Louisa finally living together with their son, James Henry, after their ups and downs as a couple. But, their problems are far from over. Many of the residents of Portwenn have decisions to make, both personally and professionally. And as some relationships bloom and others falter, can Martin cope with all the changes-or will he risk the fragile accord he's forged with his family? Season 8 premieres on WXXI-TV on Thursday, January 24 at 9 p.m.